On the go? This BPA-free, reusable and recyclable Captain America: Civil War 24 oz. Tritan Sport Water Bottle boasts a one-hand flip-top cap and fits nicely into a bike bottle mount. 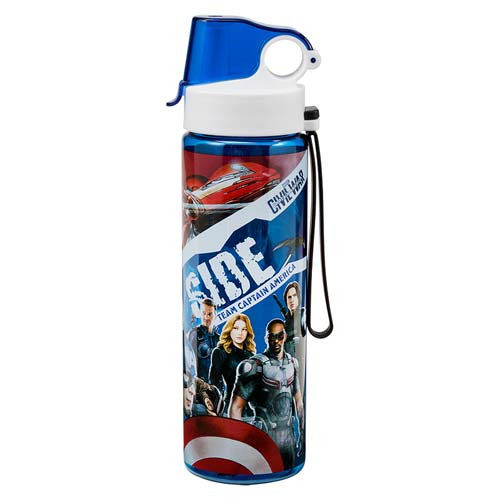 Made from durable Eastman Tritan plastic, it has a bottle loop for greater functionality, plus bold and bright designs highlighting Team Iron Man on one side and Team Captain America on the other. Measures 10-inches tall. Ages 13 and up.